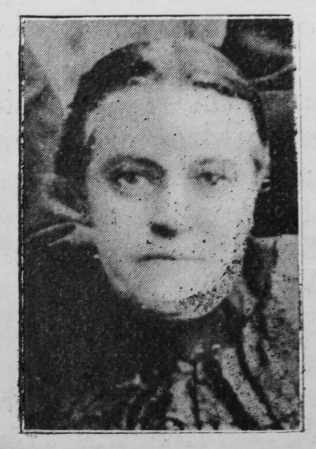 Mrs. Elizabeth Fletcher, South Pelaw, County Durham, was born December, 1844, and finished her earthly sojourn on March 4th, 1906, aged sixty-one years. She was connected with our church from a child. She first became a member at Carville, and has continued steadfast to her faith in her Saviour over fifty years. She had some gifts, and was a class leader some time, but owing to. her growing illness which affected her speech, she felt it very keenly that she could not join in the exercises of her class which she dearly loved. She bore her last illness with marked resignation, and her trust in her Saviour remained steadfast to the end. She fell sweetly on sleep. The funeral service was held in our Central Church, Chester, and was conducted by the Rev. R. Fletcher, Circuit Minister. Her dear husband, Jas. Fletcher, who has been a member forty years, with a grown up family who are nearly all members of our Church, mourn their loss. Elizabeth was born in December 1844 at Trimdon, Co. Durham, to parents William Shepherd, a coal miner, and Elizabeth Craswell. She married James Fletcher (1840-1929), a coal miner. Census returns identify seven children. Few, Charles and Broad, J.